You'll hear that line spoken in this Sunday’s new episode of Heartland, and there are many possible answers, both within the series and within the context of Heartland continuing. First let me get the basic nuts and bolts out of the way, by pointing out what many of us know; namely that across Canada in three short days the penultimate episode of Season 7 will premiere on CBC Television at 7:00pm (7:30pm in Newfoundland). I've made this an annual thing, using the word penultimate in place of next to last. I think it sounds a little classy, we wouldn’t want to overdo it, and so I restrict it to the 17th episode of each season. It sounds a little pretentious to use the word in everyday speech - “Mom, I’m down to my penultimate clean pair of socks,” or “Fluffy’s down to her penultimate can of cat food, - don't you think? Anyway, this Sunday’s new episode is titled “On the Line.” The script was written by Mark Haroun and directed by Dean Bennett. You can watch a preview for the episode here, or if you have the iOS Heartland Companion app, watch the first six minutes now! Firstly, it's the second of the three-part Charger saga. Charger, for those of you who missed this past Sunday’s new episode (I hope you are few, but if so, watch it online here on CBC.ca to catch up), is the horse which Caleb and Ty purchased in the hopes of winning a barrel racing futurity. It’s a big gamble, especially for Ty, who went ahead and put in his savings without talking to Amy. Reckless? Risky? Ill-advised? Just plain wrong? Perhaps all of these. 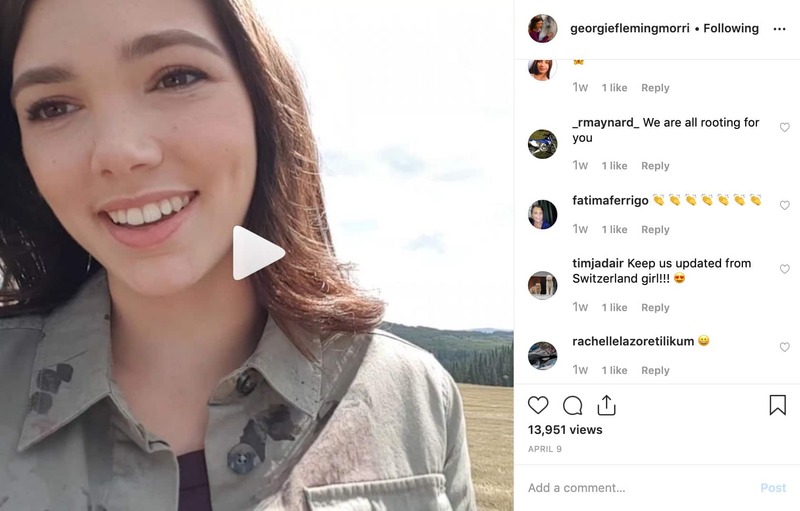 But Ty, who's been feeling pressure from his work, his classes, his job and his place within the Heartland clan, has also been feeling pressure within to contribute to the financial situation of his relationship with Amy. Call it old school or even a bit chauvinistic, but when Ty sees the money that Prince Ahmed Al Sahid has been offering Amy, this triggers feelings of inadequacy. When Caleb suggests that buying Charger could be the answer Ty mulled it over and then decided to take the plunge. No guts no glory? Or... there’s one born every minute? In “On the Line” we see the introduction of two new characters, and the return of one we have seen earlier this season. The first new character is Charlene Young, played by Georgina Reilly. Georgina is one of the stars on another CBC series, Murdoch Mysteries, where she plays Dr. Emily Grace. I can guarantee you she has never worn a cowboy hat in the turn of the century detective series, which airs their season seven finale on Monday at 8:00pm (8:30NT). Never heard of the show before? Check out the website here. You may like it! Charlene is someone who's a great barrel racer but she also has a long memory and Caleb kind of… well, didn’t exactly treat her with respect when they were dating. He thinks all that will be water under the bridge... but if you’ve seen the first six minutes of this episode on the Heartland Companion App, you’ll know that Charlene has a better idea of what to do with water. The second new character is a young classmate of Georgie’s, by the name of Stephen, (played by Carson Pound). In the preview Stephen is being bullied on the school bus when Georgie steps in as only Georgie can. 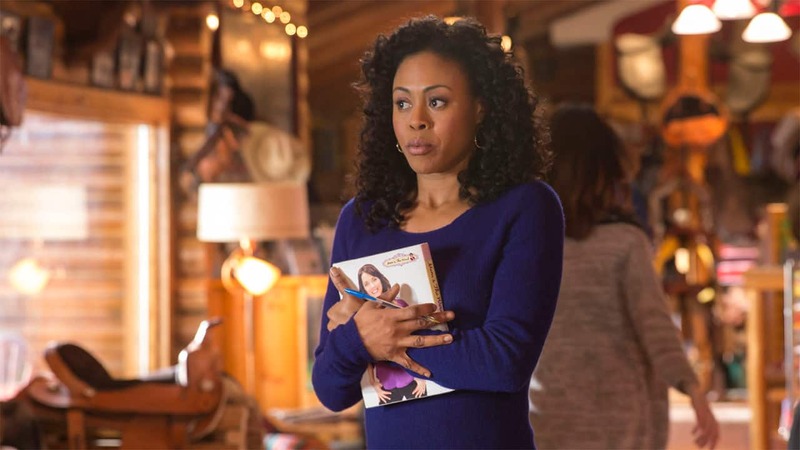 The returning character is Nicole, played by Vinessa Antoine. Nicole has been running Maggie’s Diner while Lou was away on her book tour and now that Lou has returned she finds some changes have been made to the place, all initiated by Lou’s father and not-so-silent partner, Tim. 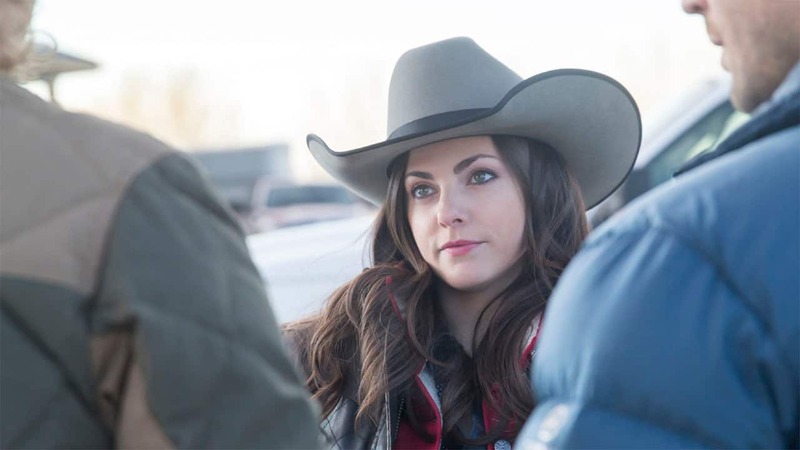 And as if three storylines were not enough (Charger the barrel racer, Stephen the new friend of Georgie and Tim’s fiddling with Maggie’s) we have a very important fourth storyline that kicks off the episode when Amy is offered a fulltime position by Ahmed (played by season guest Jade Hassoune), who asks her to consider being his head trainer. Of course the stories are all going to converge, and they do so in a big way this Sunday. In addition to ALL that - yes, there's more - you should also be using the Heartland Companion App on your computer/laptop/tablet/phone WHILE you watch the show on your TV. It has turned out to be a whole lot of fun. I do hope you are using it, either when you watch Heartland the first time or on subsequent viewings. (Yup, I know many fans who watch it on TV the first time, then watch the episode online here at CBC.ca/Heartland and then use the app on their iOS device while they watch it a second time). There is SO much cool stuff in the app; trivia, polls, videos that go behind-the-scenes, info on where you can buy clothes that characters wear on the show... it's awesome. So if you have an iOS device, get the Heartland Companion on the App Store in Canada for FREE, and if you use a different kind of device or your computer, all you have to do is go to CBC.ca/Heartland/Companion for the web version that starts at 7pm. So, when it comes to this Sunday's episode, some things get settled, while others are going to drift over and be a part of the April 13 Season Finale. I know a lot of you can’t wait and have been looking forward to these final episodes for a while. In less than a fortnight you’ll be able to put another season of Heartland in the books. The series will then consist of 121 episodes over 7 seasons, not counting a 2-hour Christmas Movie. That’s quite an accomplishment, no? Only Street Legal, with 124 episodes over 8 seasons (1987 - 1994) on CBC had a longer run for a one-hour dramatic series. Will Heartland see an 8th? I hope to find out soon... really, really soon. Make sure you follow me on Twitter and on Facebook -- because that's where you'll hear any news of that sort first. That's about it for this week's blog, and now I want to hear from YOU. Sound off in the comments about what you think about Ty's decision to buy Charger with Caleb, or let me know if you're a Murdoch Mysteries fan excited to see Georgina Reilly on the show. I love reading your comments. Otherwise, please enjoy these photos from Sunday's episode, and I will see you right here next week.